Henry Holt and Co. (BYR), 9781627791205, 40pp. 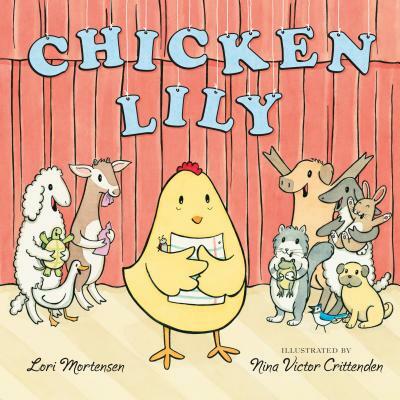 Chicken Lily may be a lot of things--a careful colorer, a patient puzzler, and a quiet hide-and-seeker (she never made a peep!) --but brave has never been one of them. That's why, when a school-wide poetry jam is announced in class, Lily is terrified. Will she sound like a bird brain? Although Lily's friends Baabette and Pigsley try to encourage her, Lily feels like a rotten egg. Finally, Lily realizes that she must put her best claw forward and prove that even chickens aren't chicken all the time. Nina Victor Crittenden is a new talent who has illustrated Cedric and the Dragon, written by Elizabeth Raum. She and her family live in Minnesota.